Gov. Rick Scott announced on Thursday that the Florida Department of Environmental Protection (DEP) will send $3 million to counties in the southeastern part of the Sunshine State to help fight red tide. 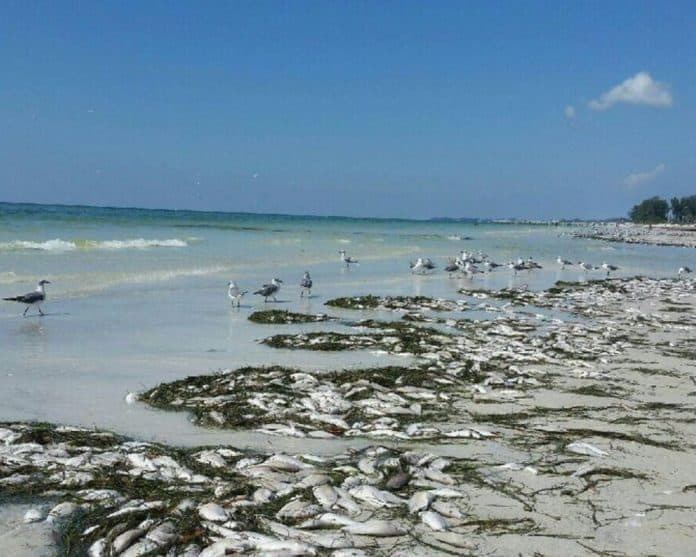 Scott said that DEP will send those funds to Lucie, Martin, Palm Beach, Broward and Miami-Dade counties to help mitigate the effects of red tide. Scott, who is currently facing term limits and challenging U.S. Sen. Bill Nelson, D-Fla., in next month’s general election, weighed in on his administration’s efforts to fight red tide and toxic algae. Scott’s office also showcased DEP’s efforts in recent weeks. “This funding is part of the grant program that was launched in July by DEP, which has provided a total of $16 million in funding for red tide and blue-green algae. This is in addition to the nearly $2.2 million to test innovative technologies to mitigate the effects of red tide, including expansion of Mote Marine Laboratory’s Ozone Treatment System, $1.2 million announced for FWC’s redfish hatchery, $100,000 for Mote Marine Laboratory’s red tide response, and $500,000 for Visit Florida to create an emergency grant program to assist local tourism development boards in counties affected by the naturally-occurring red tide,” the governor’s office noted.